…Spelled as one word. StupidFox is a fox. He is also the main character in the series of comic strips drawn by Emily Y. Chan (E.Y. Chan). The idea behind StupidFox originated from a small sketch of a cartoon fox in the corner of Emily’s high school notebook back in 2005. A remark from classmate who said the character was "stupid-looking" (or the equivalent) eventually propelled it to become the 4-panel comic series it is now. The driving force behind the StupidFox strips are it’s moments of childish and careless, moronic brilliance as well as his interactions with his companion friends, Raccoon, Bunny and Bird. Each of them contribute their own personalities and reactions that bring to question if StupidFox is really stupid as his name states, or if his actions are simply misunderstood. The StupidFox series uses simple artistic styles to stress the theme of simplicity in a complicated world: a world that is filled with obstacles and distractions. 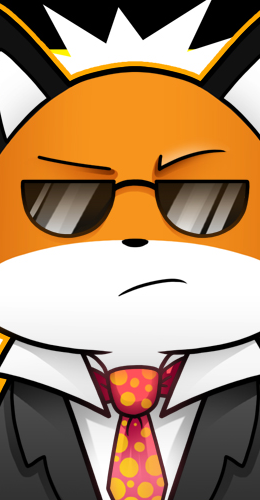 No matter the situation, StupidFox overlooks the negative by reacting carelessly with vacant stares and breaking of fourth walls, only to bring to light the important lessons and pleasures that we may overlook on a day to day basis. A StupidFox is still a fox. For more updates, follow StupidFox on Facebook!